Picture this. You’re out at dinner with your friends and eating at your favorite Italian restaurant. You’re excited because you ordered your favorite meal, which is Ravioli. Your food comes out and you go to take your first bite. Then, it happens. You spilled marinara sauce on your nicest blouse. Some of the other stain removers you’ve used are too harsh for the fabric. Also, most aren’t completely safe for your kids to use. Therefore, you don’t have any stain remover at home. What’re you going to do? I have an easy solution for you. Natural stain removers are safe for the environment and for your family. They’re easy to make and easy to use. Some of the natural stain removers might even surprise you! Don’t worry about your blouse, I know a simple way to help! First, mix all of the ingredients together in a bottle. Lemon juice and oil will disintegrate plastic, so it’s best to use a glass bottle. Make sure to shake the bottle before using it. In order to remove a stain, spray the mixture onto the stain. Next, lightly rub out the stain. If possible, let the stain soak in the mixture. Lastly, place it in the washing machine. Also, lemon juice can bleach colored clothes. Don’t let it sit too long on colored clothes. If you’ve read articles about natural alternatives, then you know that common household items are useful! Here are some other natural stain removers that you probably have in your home already. White vinegar is a great alternative to bleach and chlorine. It doesn’t stain clothes and is soft on delicate fabrics. White vinegar is best used to get rid of yellow sweat stains and for whitening clothes. There are two ways to use white vinegar. First, mix the vinegar with water and spray the clothes. Second, add a cup of white vinegar to your load of laundry before you start the washing machine. Also, white vinegar is great for cleaning your washing machine! Everyone has baking soda in their cabinet. It’s cheap and can be used for just about anything! 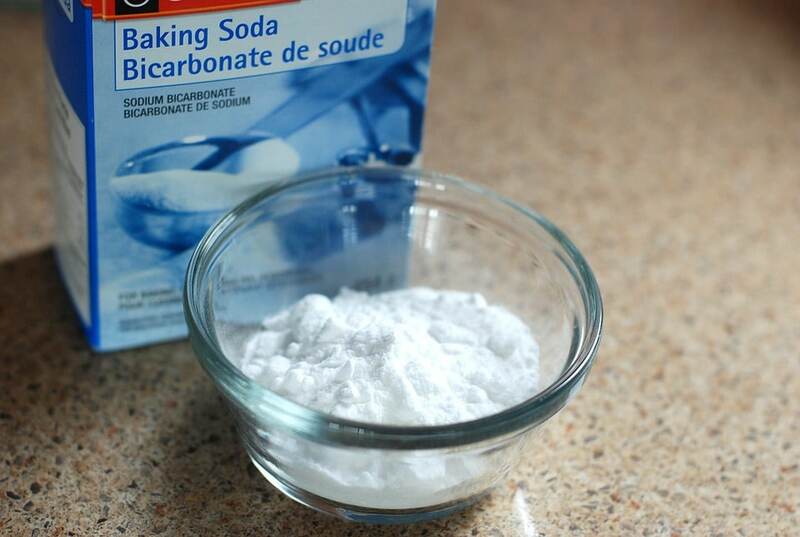 Baking soda is great for getting rid of odors. Also, it’s safe to use on all types of fabrics. Baking soda will boost the effects of laundry detergent, as well. There are two ways to use baking soda to remove stains. First, cover the stain with the baking soda and water. Then, scrub the stain. Second, add the baking soda to your load of laundry. Lemon juice is amazing and can be used as an alternative to a lot of harsh chemicals. First, you can use lemon juice in a special DIY stain remover mixture. Or, you can simply mix lemon juice with water. If you spray your stain with lemon juice and water, then some light scrubbing will remove the stain. Lastly, one of nature’s greatest gifts is light. The sun keeps us warm and helps our plants to grow. It's also great for removing stains. If you keep stained clothes in the sun for a few hours, then the sun will bleach out the stain. Why not get the most out of the bright yellow ball in the sky? In conclusion, stains are pesky and a hassle. Most stain removers are bad for the environment and not safe for kids. There are plenty of natural stain removers that are easy to make and easy to use. From DIY stain removers to using the sun, there is something for everyone to try. Also, most of the same ingredients can be used to whiten clothes naturally. The next time you spill marinara sauce on your best blouse, there’s a solution!